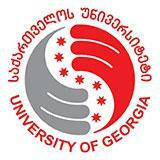 The University of Georgia offers health insurance to all International Students. Health insurance is provided by the ARDI GROUP which is the one of the biggest insurance companies in Georgia. ARDI GROUP services up to 40,000 corporate clients and almost 400 organizations throughout all the territory of Georgia. ARDI GROUP offers special insurance package to international students. Cost of insurance is included in the tuition fee.